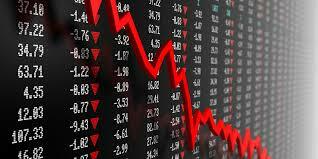 It is really scary when the stock market has a terrible day! I think I notice this more because I am older and I hate seeing the value of my investments, saved mostly for retirement, drop like a rock. I believe it is because I am getting closer to retirement and really need the return on the money that I have been saving. I have read there are many forces at play, but chiefly, I think it may be due to the developing trade war between China and the U.S.
Of course, the raise in the Fed interest rate may have something to do with it as well. The real problem is that the decades-long shift from retirement pensions to making people invest in the stock market leaves us all much more exposed to the whims of government leaders and the Fed. As more Americans become dependent upon their savings and investments for retirement health, the federal government is going to have to moderate its rhetoric and consider the consequences of both speech and actions. Surely there has to be a better way!